Congratulations on your new position. 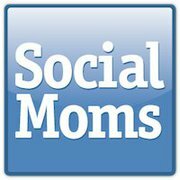 I didn’t realize that SocialMoms took over TwitterMoms. Hopefully I’ll see you over there! Twitter asked them to change the name, that’s all, so essentially it’s the same site. But thanks for taking a look, and I hope it helps you! P.S. I already had an account on the site and I would have made a new one if I hadn’t read this blog entry. Can’t wait to get active in the community.